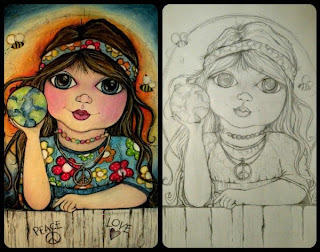 Pop Art Minis: A Fantastical Flashback...Peace, Love, and Flower Power ! 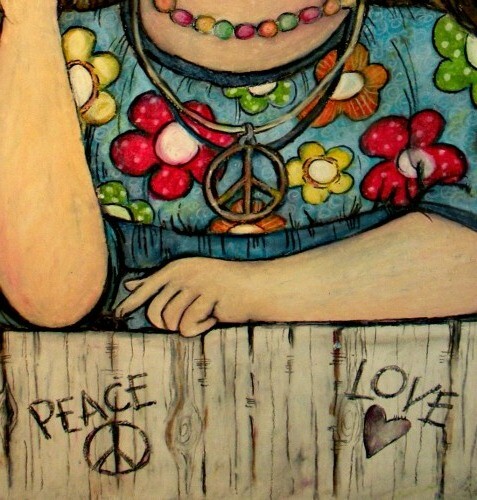 A Fantastical Flashback...Peace, Love, and Flower Power ! 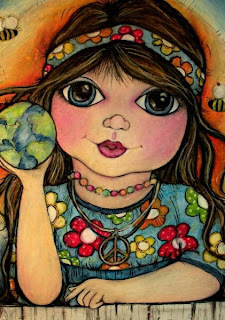 Take a trip back in time with my latest mini, a fantastical flashback...peace, love, and colorful flower power! 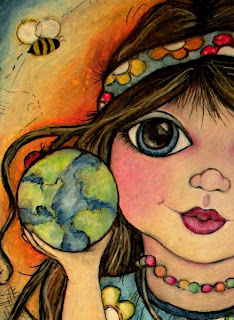 This big eyed cutie holds Mother Earth in her hand...life is grand! 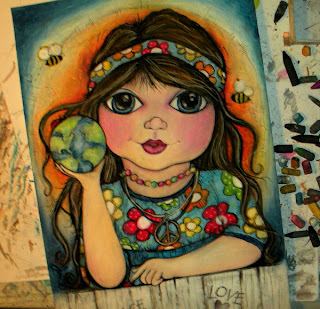 Add Ladybugs for luck, bumble bees for buzz and beads...colorful, cool 70's needs. And if you've gotta have Hair, long beautiful Hair...well, it's definitely there...a picture of mod magic. Here's the close ups, the comparison and the big reveal! 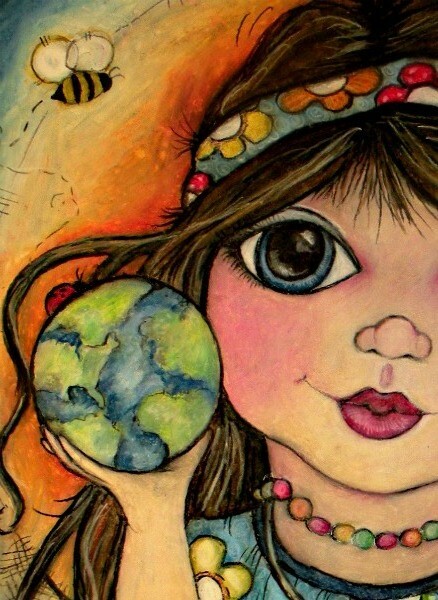 This design and more available in my Pop Art Mini Zazzle Store! 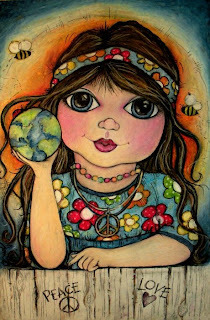 Pop by and look around...you might find something that will make you feel groovy! Joni, shades of the 60s/70s! This is so beautiful! I really love your style. Oh I love her! She's beautiful! She is groovy man. Love her aura. Thanks so much for popping by and leaving some groovy and awesome comments!